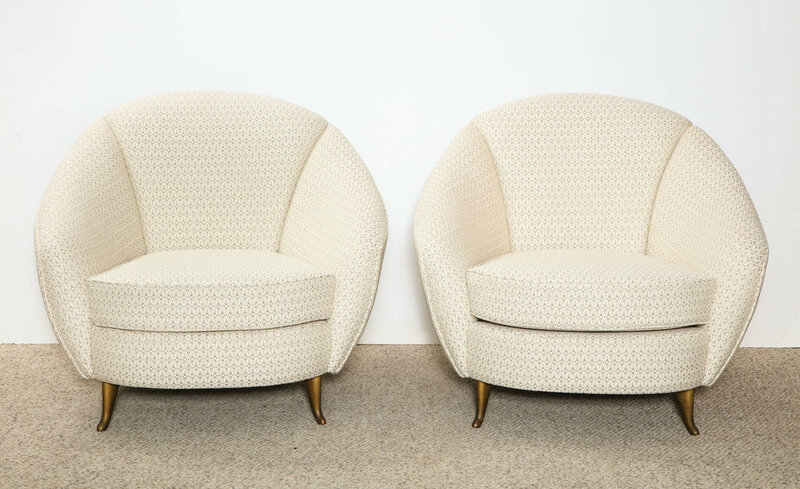 Pair of lounge chairs designed by Gio Ponti and manufactured by ISA. 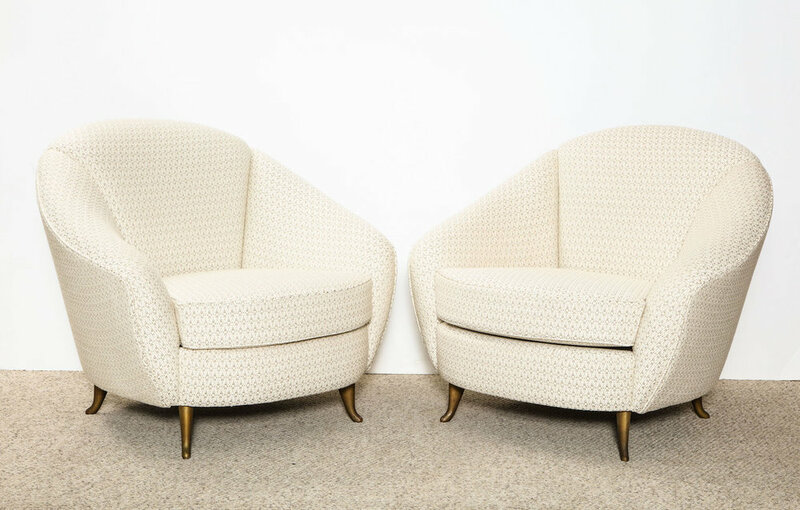 Rounded form with loose seat cushion raised above brass feet. 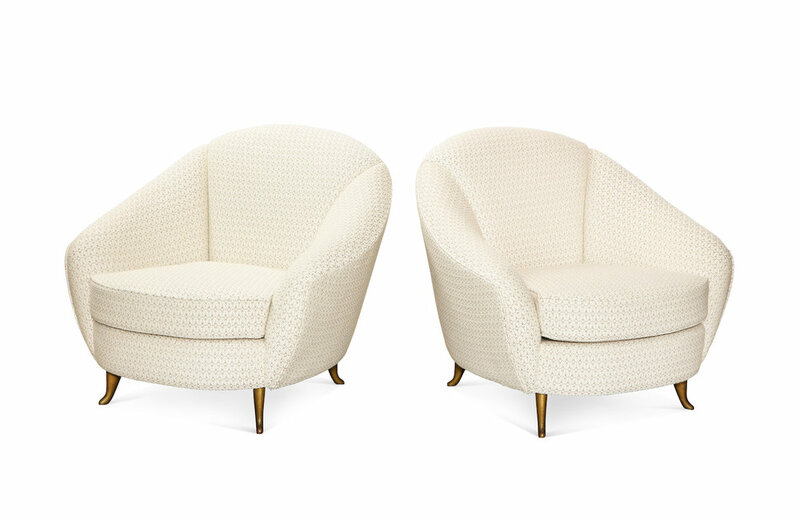 *These chairs have been authenticated by the Isa Bergamo Archives. Excellent reupholstered condition. Minor oxidization to brass feet.